Hesham Hussein died over the weekend in a car crash in Saudi Arabia. He founded two Islamic schools and was a frequent voice for the Twin Cities’ Muslim community. He had occasional appearances in MPR stories, most recently one about the refusal of some Muslims who work checkout counters to handle pork, and the controversy a year ago in Minneapolis when some Muslim cab drivers refused certain fares on religious principles. 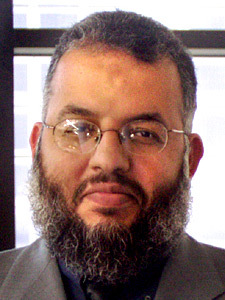 Back in 2004, he talked with MPR’s Brandt Williams for a series on Islamic life. Last April he was invited to give the opening prayer at a session of the Minnesota House of Representatives. · In the name of God, Most Gracious, Most Merciful. · Most Gracious, Most Merciful; · Master of the day of judgment. · The path of those whom you blessed, not those who deserve wrath, nor those who went astray. · God you are Just. · God, join our hearts in all goodness and give us the ability to understand those who have different opinions than us. Make our debate a way through which you guide us to what is best for us. · Bless our budget and guide us to the best way to spend it for the benefit of every resident of our state. · God, You are the peace, the source of peace, enable us to live in peace and resolve our differences in peace. · God Bless our hearts, our souls, our bodies and our minds. Protect us from all evil, Protect us from Greed, from arrogance, ignorance, from violence, from fear. · Bless our time, our effort, our people and our state. You can view his appearance at about a minute into the video here. May Allah give him Jannatul Fardaous..Give strength to his family. May Allah have mercy on his soul and may his nobel interfaith work that is honorable and respectful for all, continue long past he is gone. His beautiful family is in our thoughts and prayers. Hesham was a wonderful man! He was a most gracious leader at the schools he founded first in Inver Grove Heights and, most recently, in Blaine. Hesham always was kind to everyone, and would take the time to help you when you needed it. He would always sincerely ask you were, or how things were going. He cared about each child at the school campuses, and wanted them to achieve academic excellence. As an American Christian, I know how devoted he was to focusing on the love we all have for God, instead of the differences in the way we practice our religions, or show our love for God. Our entire school community, along with many other communities, his family, and his friends, will all miss him greatly, but we will be comforted by the good qualities he brought out in all of us. His presence will always be felt throughout both the school campuses and at the Mulsim American Society (MAS). May God (Allah) grant Hasham Hussein peace and highest of level of Paradise. Ameen. As a senior studying in U of M -TC, I attended Friday prayers in which Teacher Hussein used to give kuutbahs (firday sermons and moral lessons). He was a very soft spoken and highly honorable person. I just hope that I had more chance to know Mr. Hussein other than friday prayers. May Allah grant Hasham Hussein paradize and give peace and patience to his relatives and friends. I ask Allah Sohanao wa Taala to make him in the highest degree of Paradise with the Prophet Mohamed (Alih Alsalato wa Alsalam). Really, we loved brother Hesham for sake of Allah. So. we ask Allah to join us together in Paradise. I hope to share in doing Sadaka Garia for the soul of our beloved brother Hesham. Hesham was always there to listen when you needed a friend for guidance. His door was always open and there was never a time when I didn’t feel welcome. He listened. He cared. He always wanted to make sure that the teachers were happy and he made it known that he was there to help if we needed it. I am in awe of all his accomplishments in the short amount of time he had here on earth. I feel honored to have had the opportunity to know and work with him. He is an inspiration to us all. He will be greatly missed. I pray for peace for his family. I worked with Hesham Hussein nearly 10-years ago. He was in Infomations Systems at the time, and one of the most talented professionals I had ever worked with; presenting a fully rounded understanding of both business and technology. We became personal friends, something he made easy despite our coming from two different cultures. He was a man of great humor and generosity. He was also able to communicate his culture in a most understandable and comfortable way; and often over a meal of Egyptian, Pakistani or other Middle Eastern delights (he even understood the Western palate, suggesting food I would enjoy). Hesham and I went our separate ways due to his movement in business; but I will never forget Hesham. I am also not suprised that he changed to community leader; he was proud of his Islamic background, but not so proud as to ever denigrate the culture of others. He was a teacher, a leader, and a great friend.